Hello again! 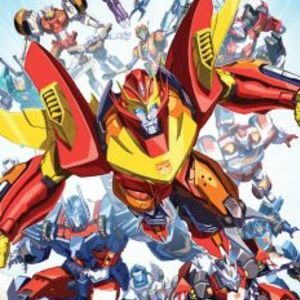 I've completed three rounds of casting for my audio drama of the Transformers More Than Meets The Eye (MTMTE) comic book that's originally published by IDW. The cast is great and they've been sending me some great performances. However, I am in need of a new actor to play the role of Skids. 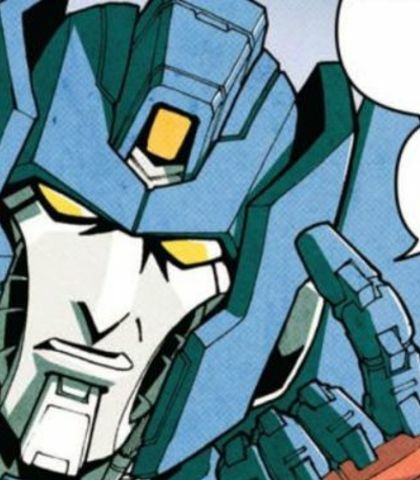 For those unfamiliar with the series, it follows Rodimus and his crew who have set off on a voyage into the vast reaches of the universe with the goal of finding the legendary Knights of Cybertron. Along the way they come across some allies, foes, and find themselves on many adventures during their travels. I need a serious and committed actor for the role. Note that I have deadlines in order to keep this project moving along at a smooth pace and this is going to be a long-term one so if you don't think you will be able to be dedicated to such a project then please don't audition. It's nothing personal, but to ensure that I keep this moving and that not only my time isn't wasted but your time isn't as well, this is a stipulation that I ask of you. Also to note, whoever is cast will have about two weeks or so to record for episode 3. I apologize in advance if this seems rather tight, but progress on this has been delayed as it is and I'd like to get back on track. This is the second time I've had to recast the role so I ask that you please be available should you be considered. I cannot make this clear enough. I don't want to have to keep finding replacements because I cannot contact you so if you are interested in auditioning, know if you are going to be available for the long run. Note that I am currently looking for actors elsewhere as well in order to have enough choices to go off of. Also note that since the project is in motion, I might cast early if I find a suitable voice. -No filters in your recordings. I want to hear what YOU sound like. -Have a good quality recording. You don't have to have a professional microphone, but I would like to have a consistent quality all around. -Don't try to imitate any previous actors that have portrayed the character. I want to see your own take on him. With all of that said, I'm looking forward to hearing your auditions. If you have any questions, feel free to ask. A theoretician. He's a super learner who can acquire new skills and adapt to his environment very quickly. He recently woke up with amnesia and as a result has become a bit reckless in battle. He often spends time with Swerve while trying to fill in the gaps to his past, is more than capable of holding his own during a fight, and is very protective of his friends. One of the main characters. Note: this character goes different changes in the story so versatility is key. Yeah, see, me and orders, we had a bit of a falling out. We’re not really on speaking terms. So when I’m told to wait in my room, well… I kinda have to do the opposite. (Jokingly) Congratulations! How does it feel to be used as bait? All those people I've met, all those people who've touched my life—I mean, I don't know if there are any, but that's kind of the point: I hate to think I might've forgotten them.